If you are looking for that exquisite espresso machine brew but are unwilling to step out of the house every time you crave it, then perhaps it is time to invest in an espresso machine. These machines are quite complex and versatile by design, which is why most of them are quite expensive by most people’s standards. Even among them, however, some are both reliable and affordable, but you have to take the time to figure out which is which. A good espresso machine should be able to deliver the same taste and aroma as the espresso you drink in any coffeehouse chain. At the same time, such a device has to be easy to use and equally easy to look after. Unfortunately, the list of espresso machines that can meet these standards within the low-end part of the market is quite small. In fact, most versatile espresso machines are quite expensive to some extent. Having said that, let us point out that the market does offer solutions for people who want a reliable espresso machine on a budget, even though these machines are quite difficult to come by. This is because it’s in no manufacturer’s best interest to sell affordable machines that perform just as well as their top of the line models. Even so, these devices exist and as long as you take the time to patiently seek them out, you are bound to find a good one sooner or later. To save you the trouble, we put together a list of the ten best espresso machines you can buy under 200 dollars along with a short guide on what to look for when buying one. Mr. Coffee BVMC-ECM180 is a functional espresso machine with a very user-friendly design. It is a very simple to use 3.5 bar machine that allows you to brew up to 4 cups of superbly flavorful coffee per batch. An integrated steam wand allows you to create a creamy, rich foam for cappuccinos and lattes right at home. For easy and thorough cleaning, the unit has a removable nozzle and drip tray, while its compact design renders it space efficient but also stable and elegant. Hamilton Beach is a renowned brand in kitchen wares and this is one of their most efficient espresso makers by far. This machine uses a 15-bar pressure pump for great flavor extraction, rich crema espresso brews. Its filter holder has a unique slide-and-lock system for easy setup, while a swivel steam wand steam/froths milk easily and perfectly for cappuccino, latte-style drinks. An easy-to-remove water tank and drip-tray allow for easy cleaning as well, features one should always look for when buying a coffee machine of any kind. This Breville’s Nespresso CitiZ Nespresso machine features an impressive design that not only excites the user but also adds to your kitchen décor. Its uniquely powerful 19-bar coffee extraction system ensures you get the richest drink in flavor and aroma. As a versatile machine, its folding cup tray can accommodate taller espresso or coffee single-serve cups. For easy, fast cleaning, its drips tray, water tank, and capsule container are easy to remove. Moreover, it features a quick heat-up system that lets you enjoy your coffee anytime you need it. This espresso maker has fun simple controls with 3 one-touch buttons with pre-programmed espresso brewing settings. The Gourmia GCM6500 allows you to select single shot, double shot, latte or cappuccino style, and it works with almost any espresso capsule brand. It is also impressively designed to provide impressive barista-style results and integrates an auto milk frother that steams the precise amount of milk you need for perfect latte, cappuccino. 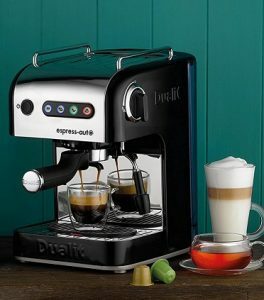 At the same time, the machine features a 10-capsule insert/eject system, a dual-cup platform for demitasse/large glasses, see-through removable milk and water reservoirs, and a drip tray. The Nespresso Essenza Mini by Breville is an ultra-compact espresso machine, yet it does not compromise on quality performance. It offers two programmable coffee cup sizes and, it is simple and intuitive to use, and provides coffee to your desired taste. Although small, it does its job in a matter of few minutes, what with its efficient high-pressure pump and quick heating system. Moreover, the unit comes with a bonus welcome set including a range of Nespresso-custom capsules that boast distinctive aromatic profiles. Cuisinart is a common household name, world-renowned for their quality kitchen products and their EM-100 espresso machine shows us why that is. With a 15-bar pressure pump, this machine ensures great flavor extraction for the best coffee drinks. As such, it can brew 1 or 2 cups using coffee pods or ground espresso. Moreover, it has an easy-to-clean removable water tank, porta filter holder and an effective cup-warming plate. Also included are a frothing cup, steam nozzle, tamping tool, and a removable drip tray. With the DeLonghi BAR32 Retro espresso maker, you get to enjoy authentic, rich Italian-style espresso drinks of the highest quality. Its unique dual-function filter holder allows the use of either coffee ground or pods, offering espresso preparation ease. Two distinct thermostats provide control over the temperature and pressure, delivering perfect espresso brew. Moreover, this unit integrates swivel jet milk frother for ensuring easy and ideal cappuccino/latte preparation. Other features include 15-bar pressure pump and a stainless steel boiler just to say a few. Made by the world-renowned Mr. Coffee, the ECMP50 espresso machine produces bold, authentic espresso drinks. Its thermal block heating technology efficiently heats water quickly while its 15-bar pump helps brew rich and flavorful creme-topped espresso. The machine also enables you to select a single shot or double shot portafilter depending on the serving options. For latte or cappuccino, an integrated frother steams up milk fast to an amazing, creamy finish. The unit also has a removable water tank, allowing for an easy filling and cleaning. With a simple touch of a button, this Mr. Coffee Café Barista brews your choice espresso and froths milk automatically for your latte and cappuccino selections. 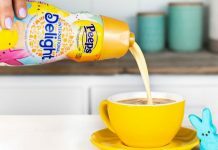 Its easy-use design and convenient features eliminate the need for barista know-how, allowing you to make custom drinks such as your preferred coffeehouse easily. Just select a single or double shot filter, choose your grounds, replenish the milk tank, and select your brew. Furthermore, an included recipe book helps you create wonderful coffee cups—raspberry cappuccinos, espresso martinis, choco-nutty lattes, etc. The Nespresso Inissia is a high-performance, popular espresso maker you can rely on. Designed to allow easy Nespresso coffee capsule insertion and ejection, this compact coffee brewing unit provides quick preheat time and utilizes a 19 bar high-pressure pump for optimal flavor and aroma extraction. It also features 2 easy programmable buttons for lungo and espresso preparation, a versatility that should prove very useful long-term. We should also point out that its removable water tank makes it simple to clean, while a folding cup tray works with tall glasses for added convenience. Among its other highlights, the Nespresso Inissia is also a quite energy efficient espresso maker, which adds to its already high-quality build. You don’t have to spend a fortune to enjoy a cup of authentic espresso, cappuccino, or latte-based brew. All you need is a reliable espresso machine, one that will enable you to brew whatever drink you enjoy on a regular basis, delivering roughly the same flavor and aroma that you get when you order a cup at any household coffeehouse chain. Finding a reliable yet affordable espresso machine, however, can be quite a daunting task for most people; which is why we decided to tell you everything you need to know when buying one yourself. Espresso machines fall into four main categories, even the cheaper versions. In this regard, they can be semi-automatic espresso machines, super-automatic espresso machines, manual lever espresso machines, and capsule espresso machines. For the most part, they differ from one another by employing different controls, being that they all provide roughly the same services. A good espresso machine, even a low-end version, has to be easy to use, sufficiently versatile, and easy to clean. As we are about to find out, each type of espresso machine has its own quirks and particularities. Semi-Automatic Espresso Machines – These are the most common types of espresso machines, not just as a result of their capabilities but also for being very easy to use. They use an electric brewing pump that you have to turn on, a feature that all semi-automatic espresso machines share, both cheap and expensive. Relatively easy to use, these machines require more manual intervention than some of the high-end models, but they make up for that by being very easy to use. We should also point out that these espresso machines are relatively compact in size and that they are quite affordable for the most part. Super-Automatic Espresso Machines – These machines are quite sophisticated overall, and yet quite easy to operate. 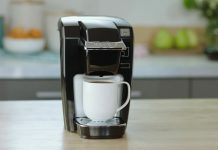 A super-automatic espresso machine employs a built-in coffee grinder along complex brewing mechanisms; features that allow it to grind the coffee, fill the filter basket, brew a specific amount of coffee(of your choosing), and dump the used coffee grounds into a built-in waste container. It also has to be said that each such cycle takes a couple of minutes on average and that you can repeat the process as often as you want. At the same time, these machines can also froth milk for cappuccinos or any other type of milk-based brew. Manual Lever Espresso Machines – These espresso machines enjoy roughly the same build and craftsmanship that old-school machines used to boast. As such, they require the most skill to master, yet they also deliver some of the best possible results. As the name suggests, these machines employ a manual lever to compress the coffee using your own body strength. This allows you to become a part of the espresso-making process, an experience many espresso purists and enthusiasts look for. As you prepare more and more batches, you are bound to become increasingly better at doing it, resulting in much more flavorful espressos. Capsule Espresso Machines – These machines are aimed at offices, restaurants, or fast food joints, but they are equally practical in a home environment. Extremely easy to use, all you need to do when operating such a machine is to insert a pre-packaged capsule that was pre-filled with ground coffee. Afterward, all you have to do is press a button and wait a couple of minutes as a rich, tasty espresso is being prepared. Interestingly enough, the wide majority of these machines are equipped with steam wands or automatic milk frothing systems to help prepare latte drinks or cappuccinos. 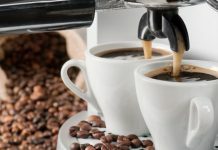 Ease Of Use – The first thing you want to ensure when buying an espresso machine is that you are able to easily and efficiently operate the machine. This isn’t just about manual lever machines but all of them. As technology reaches new peaks on a daily basis, you can expect household devices and appliances to also innovate for added convenience and comfort. This is precisely why you should have high standards when buying an espresso machine, even one that you spend less than 200 dollars on. Versatility – Another thing o consider is just how versatile the machine is and how many types of drinks you can prepare with it. Like we already pointed out, some of these machines have the capacity to froth milk and to prepare exquisite, complex drinks. Although this isn’t necessarily the criterion you should judge espresso machines on, it still couldn’t hurt to have a machine that you can also employ for different purposes every once in a while. Design – Construction-wise, you want an espresso machine that takes as little counter space as possible while still delivering the full benefits of a coffee shop machine. Thankfully for espresso enthusiasts everywhere, newer models are quite compact and trendy-looking, even the inexpensive versions. Speaking of which, you really shouldn’t compromise when it comes to the price tag because even cheaper machines can be sufficiently ergonomic, just as long as you take the time to look around a bit before committing on a purchase.